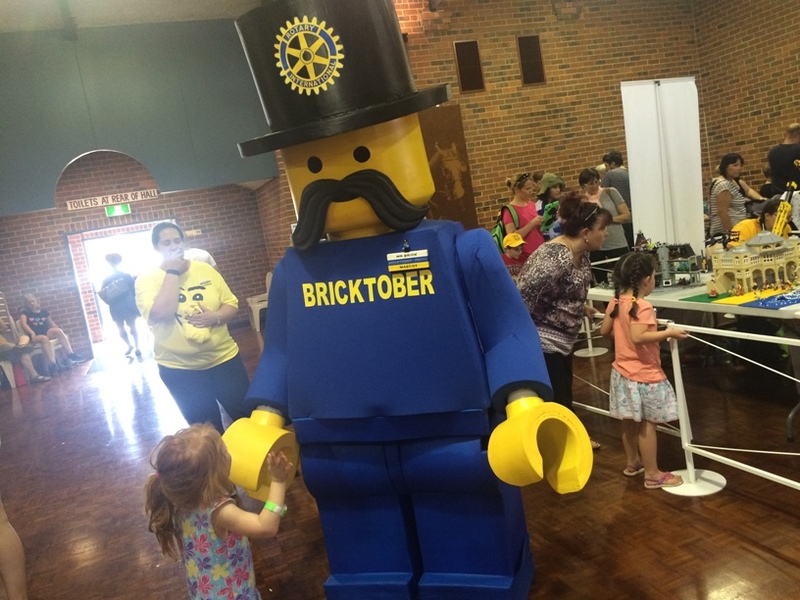 Bricktober is an annual event held at the Cannington Exhibition Centre that offers an affordable and fun outing for Perth famiies in the October School Holidays. 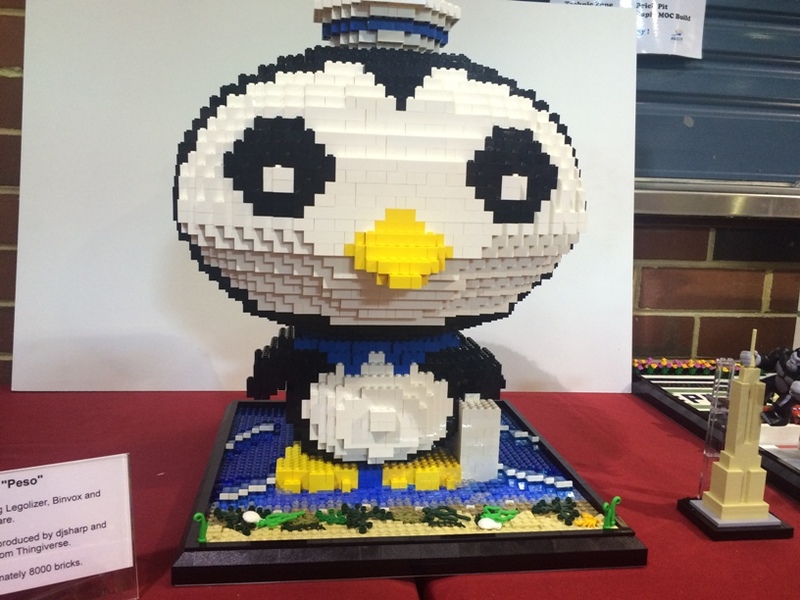 Bricktober is an amazing exhibition of Lego displays, with over 60 exhibits, with 2017 promising to be bigger and better than ever. It's also an interactive and hands on Lego fun experience. You can meet Mr Brick wanding around the exhibition on both days and this year (2016) there will be live appearances by Anna, Elsa, Batman and Captain America on the Sunday. 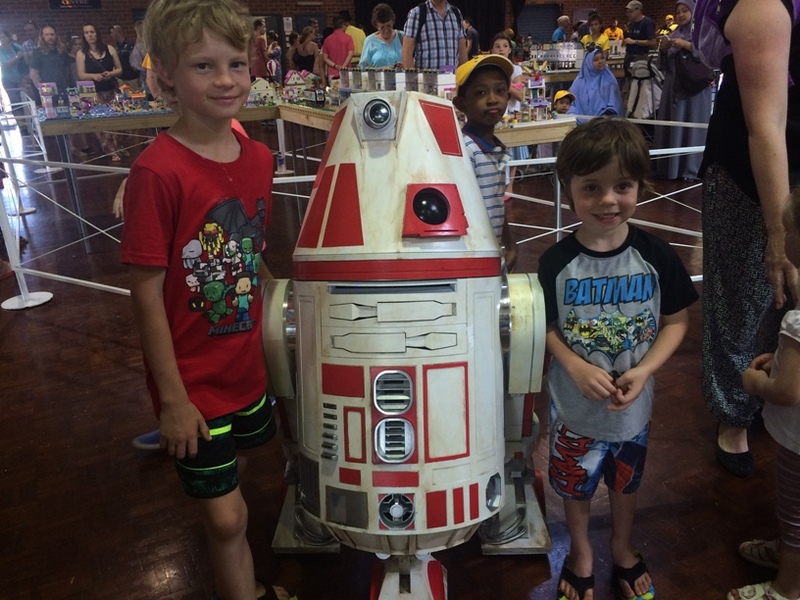 Meeting R4 E1 last year was an absolute highlight especially for Master 5 having this robot come up to him face to face and talk to him, he was fascinated. 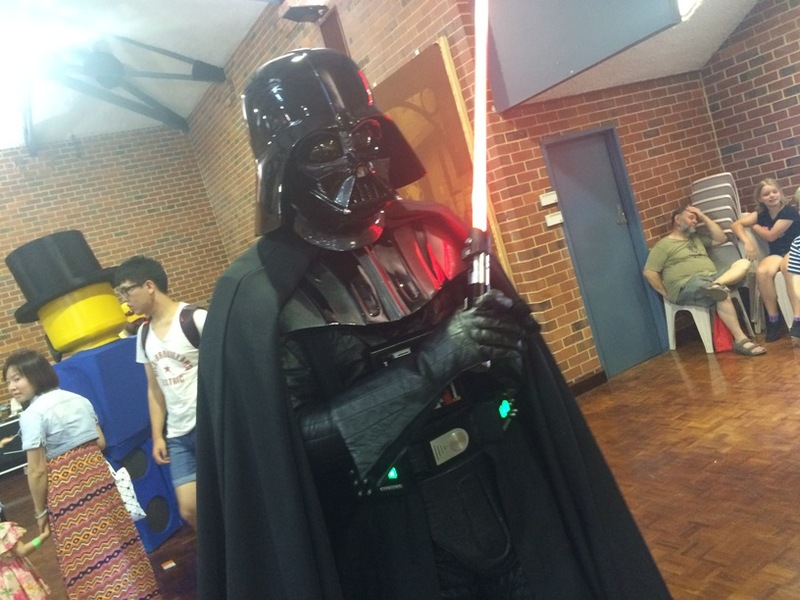 We also met Darth Vader as we were walking around. 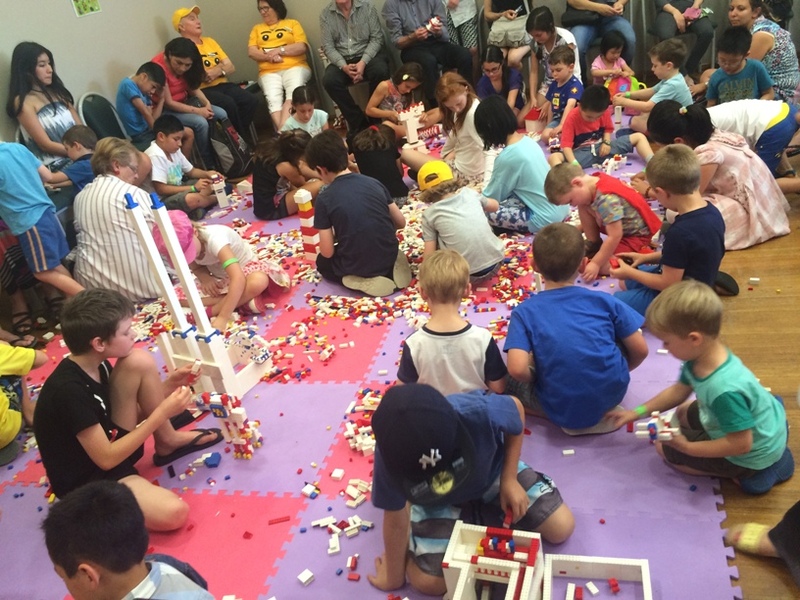 Of course once the kids have wandered all the exhibits and are all inspired to create their own Lego masterpieces it's a good time for some hands on Lego action. This year will see the return of the "Brick Pit" but it will be expanded and will have over 20,000 elements to play with. They will also clear out and rotate the pit and have set play times so all children can have a play. This year there will be more interactive activities like driving a Lego train and driving a Lego construction vehicle, car or truck for just a gold coin donation. 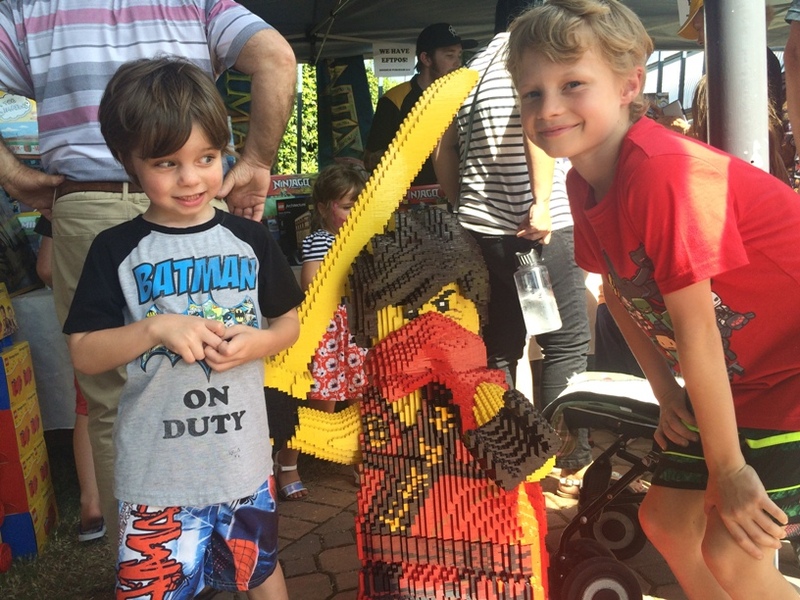 You'll also be able to get selfies with the roaming Lego characters for free. You or your kids could be winners too with plenty of competitions including door prizes, Lego building competitions and a Lego guessing competition. If your kids are obsessed with the mini Lego figurines they'll love being able to choose characters to buy for just $5 each. You can bring your own food along to Bricktober or there are plenty of refreshments to purchase at the exhibition incluidng a sausage sizzle, tea & coffee and other healthy food options. 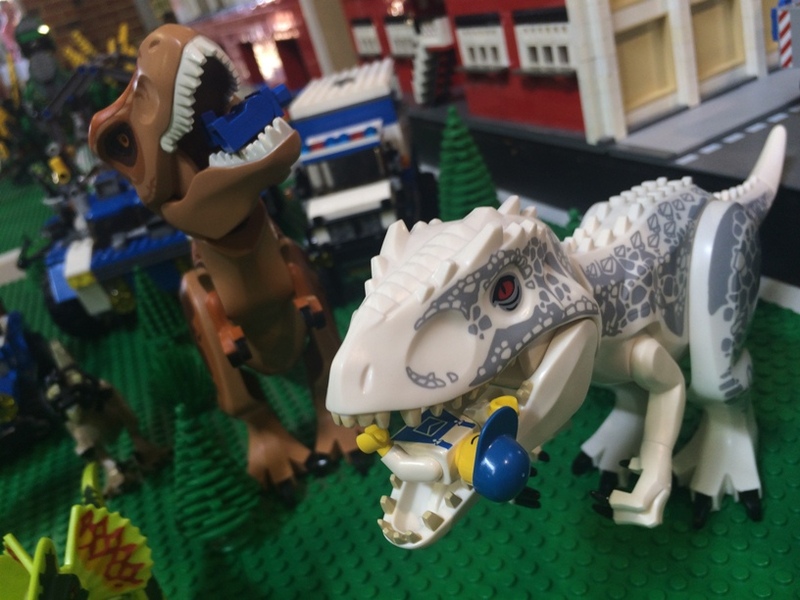 Lego movies will be showing on the big screen so you can sit down and relax in between checking out the exhibits and buidling your own Lego masterpiece. 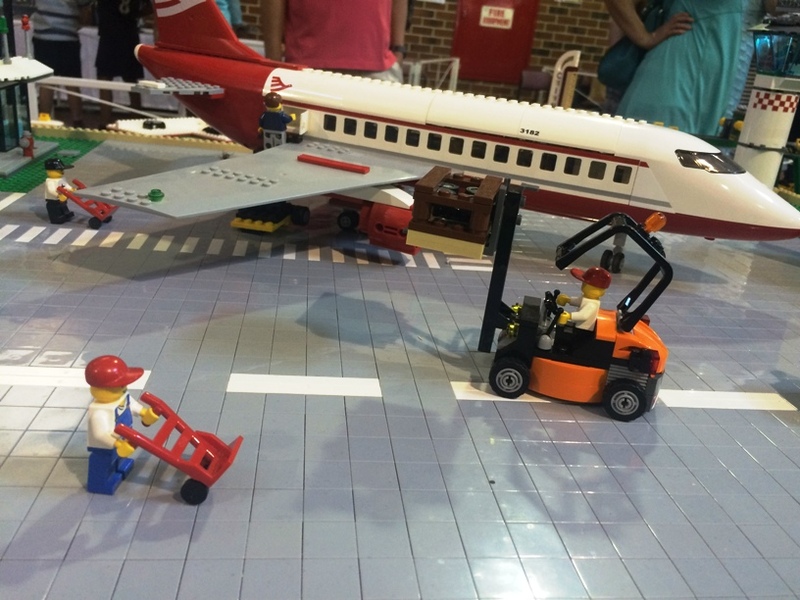 Start planning for the October School Holidays and book your tickets for Bricktober now. Tickets are limited, but you can get them online now for just $10 per person or $30 for a family pass. You can choose a session time, which means there will be no lining up. Just arrive for your session time, show your tickets and you'll be straight in. You can stay as long as you like after you enter. Kids 2 years and under enter free.